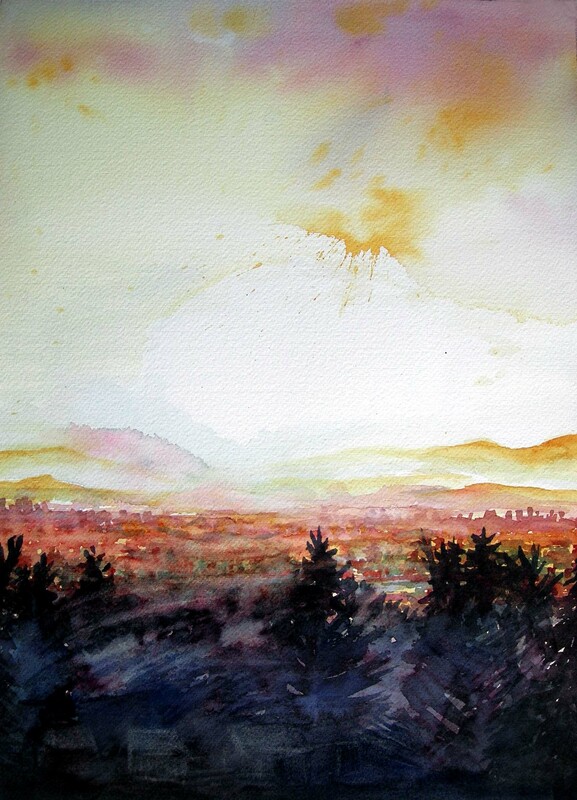 Another really nice piece – you have a wonderful touch with watercolor. My favorite part of this piece is the “splatter” of yellow in the sky. I love “incongruous” marks in paintings and watercolor is great for providing the artist this effect. Also very nice atmospheric perspective with the distant hills. First of all, this is a discovery for me, that Jude is a painter and such a good one. And this particular painting is stunning!